5 BEST Rainmeter Skins for Windows - Make Windows GREAT again! One of the Benefits that a User gets while using Windows Operating System over any other Operating Systems like MacOS or Linux is the fact that How The Customizable Windows Operating System is. You might be thinking of some basic customizations like Changing Wallpapers, skins, etc., but there are a lot more than you think of. 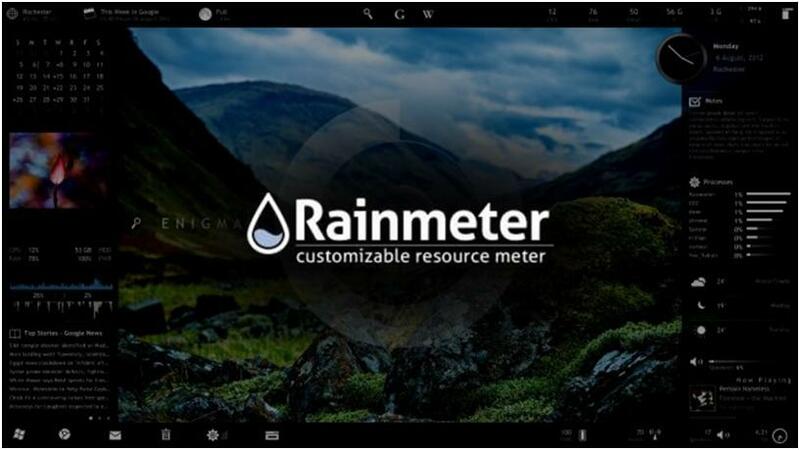 There are a lot of Programs out there that lets you Completely change the look of your Windows Desktop, and one of the Most Popular Program is none other than Rainmeter. 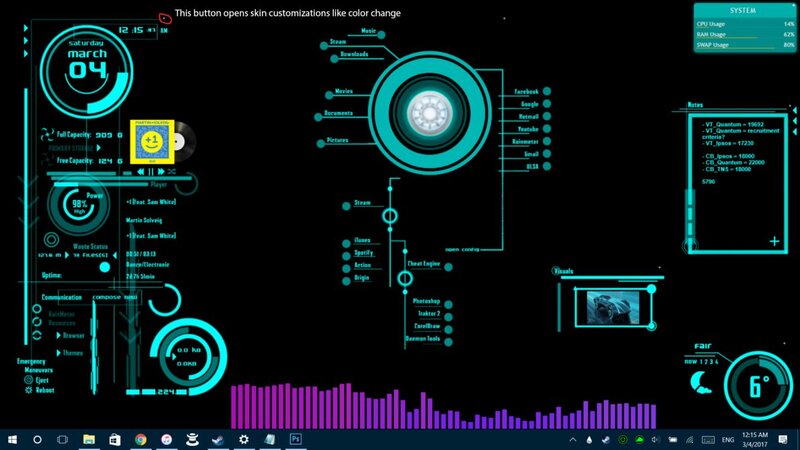 Rainmeter is a free Desktop Customization Program that lets you completely customize your Windows Desktop the way you like it. It can be used to Load some extra Widgets to your Desktop like Clock, Network statistics, Processor usage, Email, RSS feeds and much more. There are a lot of skins to choose from, which makes it pretty hard for the user to select which one would be best for him or her. Well, to fix that problem, We are here with our list of Some of the Best Rainmeter Skins for Windows. Please Note that you must have Rainmeter Program installed on your Windows Machine to use any of these skins. Rainmeter is compatible with almost all the Versions of Windows from Windows XP to Windows 10. Without wasting any more time, let’s get straight to our list of the Best Rainmeter themes for Windows. 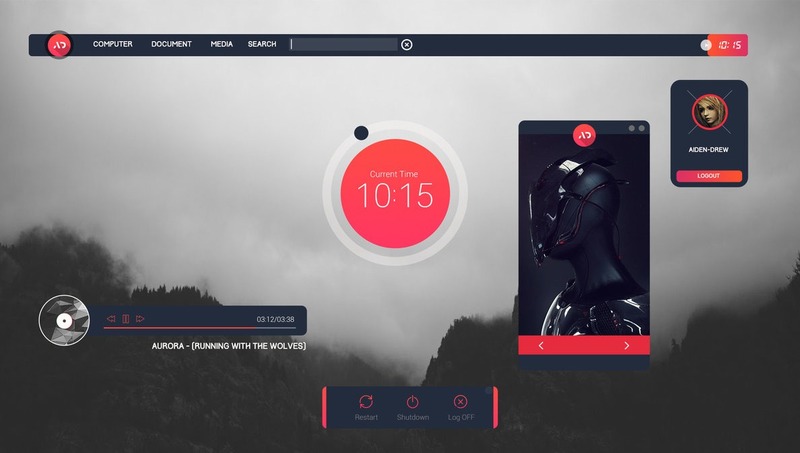 One of the most amazing and best rainmeter themes is TECH-A Rainmeter skin, if you are one of those tech savvy People, then you are going to love this Skin. It shows a bunch of Information on Screen like as per core CPU usage, RAM utilization, as well as Time & date which is cool. Not only this, there are a lot of shortcuts to Apps like My Computer, Recycle Bin, My Documents revolving around. You should take a look at TECH-A Skin. You can download the skin for free from the button below. Below is the video tutorial showing how to install this skin on your Windows PC. If you are someone who likes everything Minimal, then there is no doubt that you are going to love this Skin. Senja Suite is a Light, Clean and Minimal Skin for your Windows Desktop. The skin is not bulky in any way, it just takes care of the Basics like Time, Slideshow of favourite pictures, User profile button with an expandable bar for System folder shortcuts, Media information with control buttons, and Shutdown/Restart/Log off buttons. The Skin does extremely well for a Clean and Minimal Desktop Look. You can download the Senja Suite Skin for your Windows Desktop from the button below. 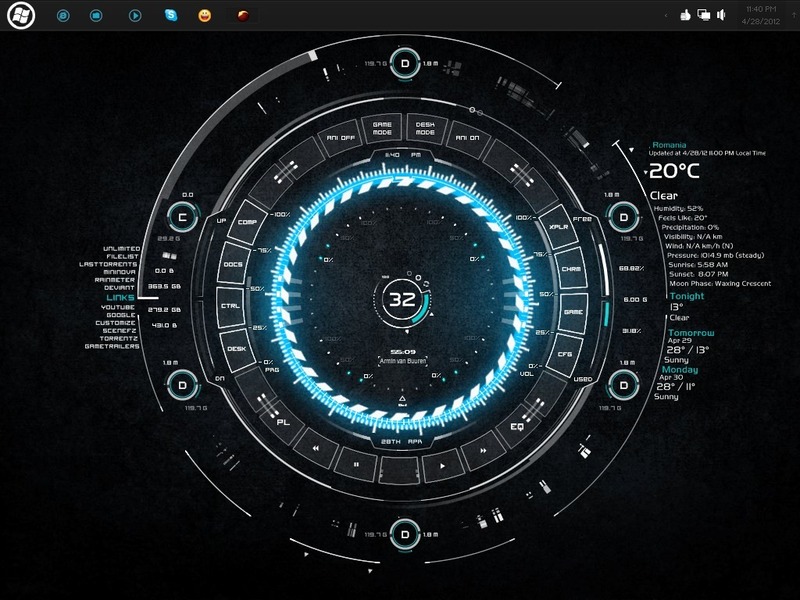 Third on our list for Best Rainmeter Skins for Windows is none other than Avengers SHIELD OS, gathering and building your team of Superheroes can be a difficult job in real life, but you can always Play Nick Fury on your Windows Laptop or Desktop with the help of this Avengers SHIELD OS Skin. This skin comes in multiple Resolution to chose from. 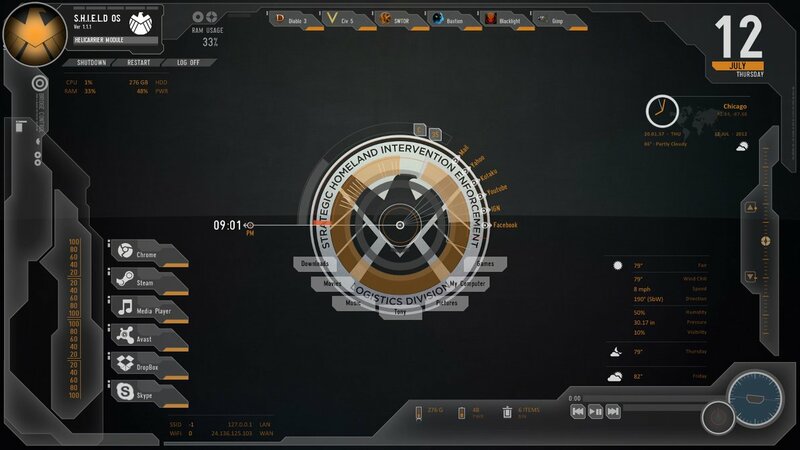 The Skin includes many Shortcuts like frequently accessed applications which may include Applications like Chrome, My Computer, Media Player, etc., the skin also includes some Controls like Volume control, Media playback/control bar, RAM and CPU usage display, shut down & restart buttons, The Avengers SHIELD OS Skin does have that. S.H.I.E.L.D Eagle tag for those of you wondering. You can download the Avengers SHIELD OS Skin for your Windows Desktop from the button below. One of the skins which shows how a Background can change the Game of Customization is none other than ALIENS itself. 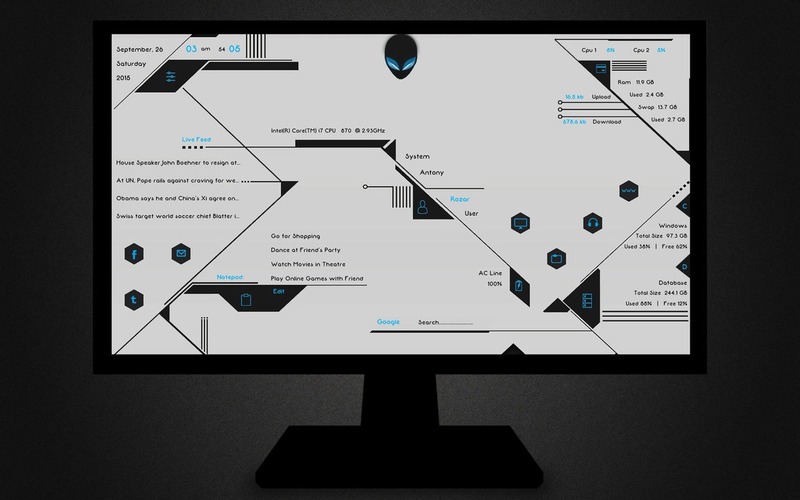 ALIENS is a beautifully designed Skin for Windows PC which only makes sense while using with the ALIENS Skin Wallpaper it. The ALIENS Skin does have some Modules like Disk partition shortcuts, Power status, Network upload/download speeds and System time and date which can be configured by the User. You can download the ALIENS Skin for your Windows PC or Laptop from the button below. You don’t need to be a TONY Stark to own a Computer with JARVIS, just kidding. IronMan-Jarvis is a skin which tells everything by its Name itself; it’s a great Skin which can be easily Customized to give Your Windows a JARVIS Computer Look. Every module position can be changed as per your Needs. Also the modules can be easily configured to make the Desktop more functional as well as More Advanced. There is a lot of Information that this Skin shows on the Desktop which includes Clock/Date, Hard disk capacity, and Temperature details, RSS feeds. The skin also shows the Shortcuts of Applications like My Computer, Recycle Bin, My Documents and much more. You can download IronMan-Jarvis Skin for your Windows Desktop or PC from the button below. If you face any Problems with any of the Skins Mentioned above, then let us know in the Comments, we would love to answer all of your Queries.